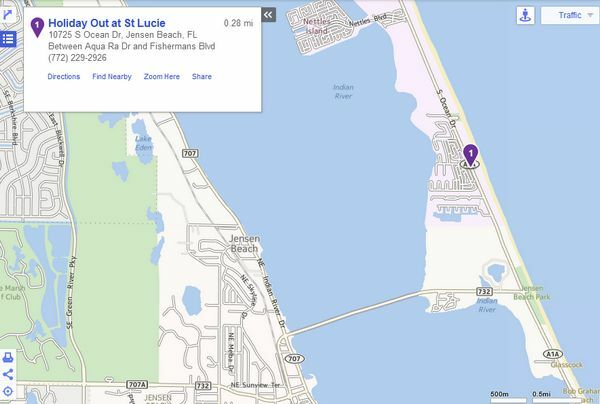 RV lot #1 for rent in the tropics of South Florida. 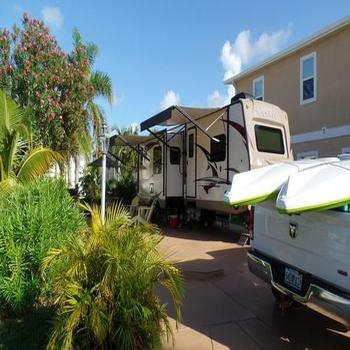 Holiday Out is located on beautiful Hutchinson Island, in the lovely town of Jensen Beach with the Ocean in your from yard and the Indian River in your back. The gated Holiday Out community has a magnificent pool with private beach access. The lot will be for rent April-October for 500 a month and November/December for 700. Rent includes water, electric, and cable. Only one pet.